The great thing about this card is it was made using ALL scrap pieces of paper. Every, single thing was cut from scraps. 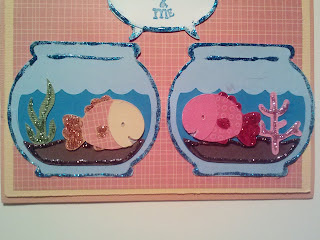 Obviously, I love glitter glue, and I used it to accent my design. I also used gems that I've had for more than three years! I only remember that because they were used on some decorations for my wedding. 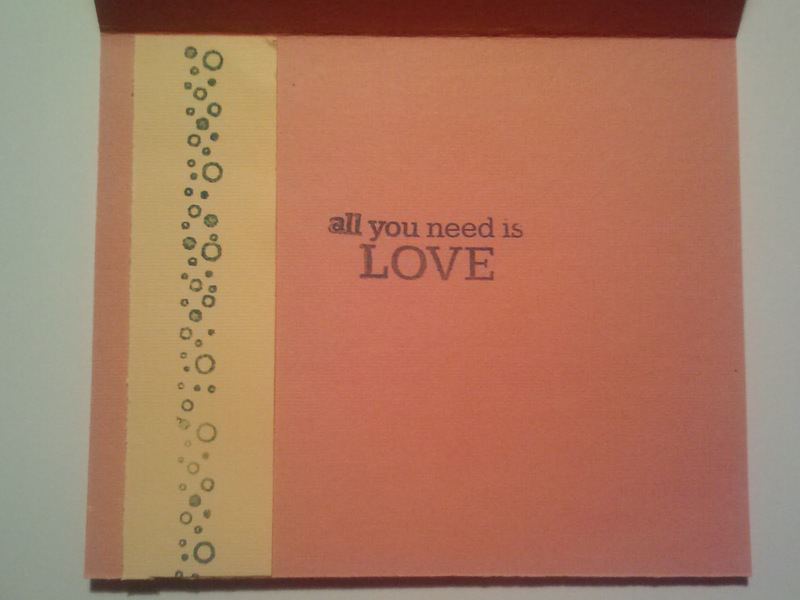 I stamped a sentiment inside the card using one of my new favorite stamps. 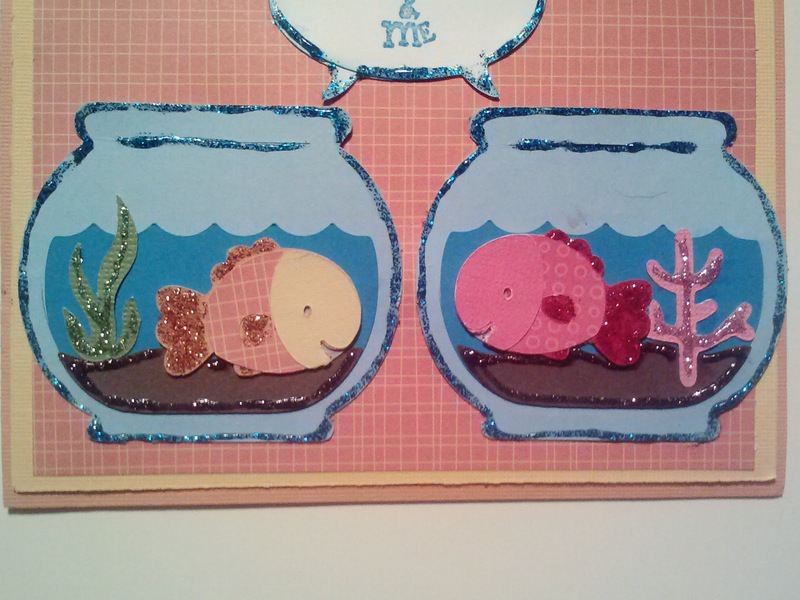 I think it sums up the romance between these fish perfectly. This might be my husband's Valentine's card. We'll see. This is a great fun card. Even better that you used up your scraps. I spotted you over on MIM and had to take a closer look and I am glad that I did. Awh! This is so lovely Evelyn, such a fun card, with a love story too!!... 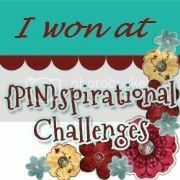 Thank you for sharing with us this week at 'Make it Monday!.. this is so cute and sweet, love it! 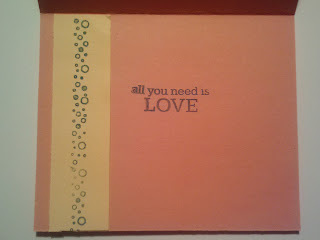 I like you used scrap paper too, I am big on using what I have, don't have time or money to run to the store everytime I want to craft. Love this so cute! Thank you for joining us at FCCB this week! 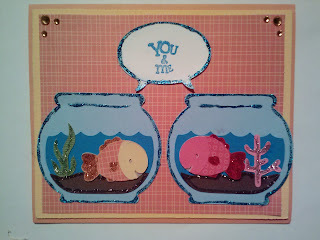 Super cute, I like the fish bowls!! Thanks for joining us at FCCB this week!! So cute! I love these little goldfish. CAC is one of my favorite carts. Thanks for playing along with us @ FCCB #144. This is so cute! I have that cartridge but have not used it much. This makes me want to get busy with it! The little fish are just darling. 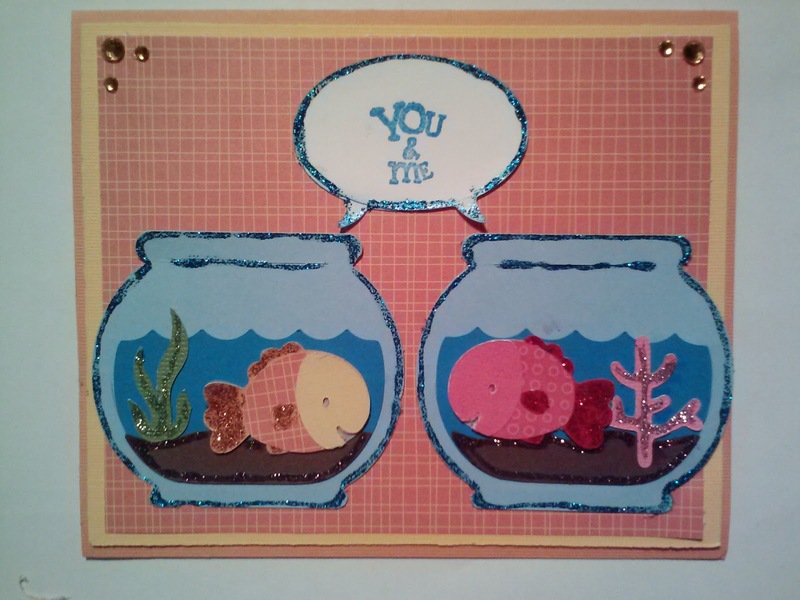 Stickles is one of my favorite embellishments too. Thank you so much for joining us at Forever Friends. I hope to see you again with your awesome creations! Hugs and God bless.